MINIX has just launched a new Windows 10 mini PC with MINIX NEO Z83-4 powered by an Intel Atom x5-Z8300 quad core processor, 4GB RAM, 32GB storage, Gigabit Ethernet, 802.11ac WiFi, etc.. 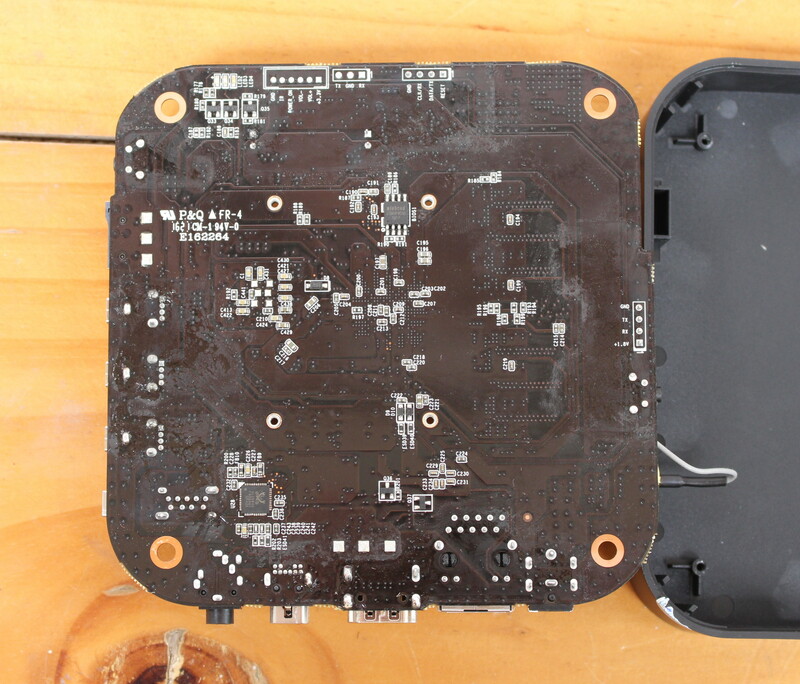 The company sent me an early review sample, and today I’ll go through the specs, take pictures of the device and accessories, and tear it down to check out the PCBA, and the thermal design. The mini PC runs Windows 10 Home with a proper license from Microsoft. The BIOS / UEFI also supports Wake on LAN, auto power recovery after power loss, and scheduled power on. Support for Apple/Nokia/Samsung standard headphones for audio input and output can also be enabled or disabled in the BIOS. The hardware specifications are somewhat similar to Tronsmart Ara X5 Plus, except NEO Z83-4 has more memory (4GB vs 2GB), a mini DisplayPort output, one more USB 2.0 port, support for Gigabit Ethernet, and a more powerful power supply. The retail looks basically the same as I got with MINIX NGC-1. 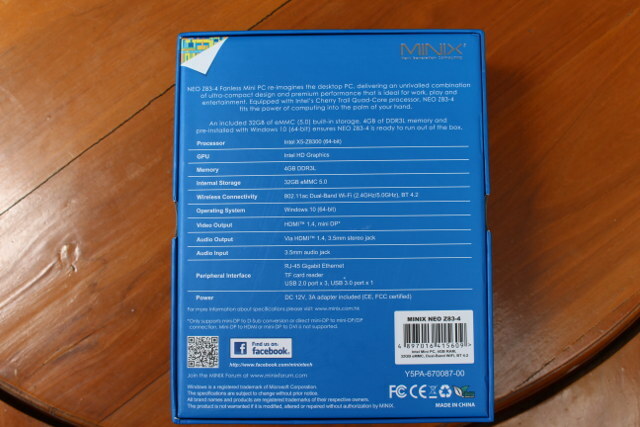 The bottom of the package lists the specifications, and provides links to MINIX Facebook page, and MINIX forums. The computer ships with a 12V/3A power supply made by Delta Electronics and corresponding power cord, a WiFi antenna, and HDMI cable, a user’s manual in English and Chinese, and MINIX products brochure. The device looks basically the same as all other MINIX Android TV boxes and mini PCs. One side comes with the power button, the micro SD slot, three USB 2.0 ports, and one USB 3.0 port with the latter also working in power off mode if you want to charge your phone or tablet. The side features the WiFi antenna connector and a Kensington lock opening. Media and networking ports can be found in the rear panels with a 3.5mm audio jack (microphone + headphone), a mini DisplayPort connector, HDMI 1.4 output, a Gigabit Ethernet RJ45 port, and the power jack. In order to open the case, I had to remove four sticky pads on the pad, and loosen four screws. The bottom cover will then come off relatively easily with some gentle taps on the top. 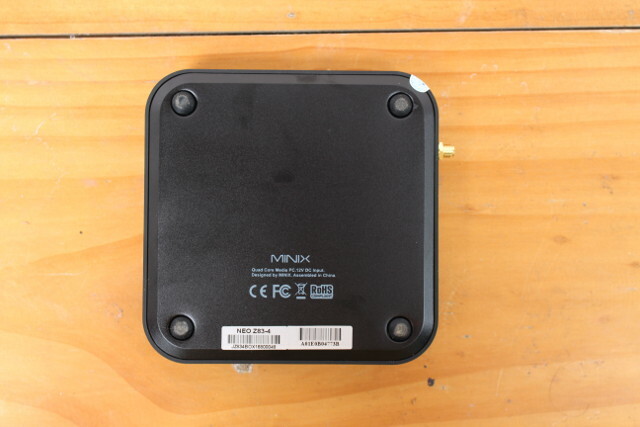 MINIX has got serious with cooling, as they’ve selected a massive heatsink that also in contact with the large thermal pad on the top of the aluminum case. The company also showed me the system running OCCT for four hours last month, so the performance should be very stable, and CPU throttling not an issue. That’s something I’ll have to test in the second part of the review anyway. I’ve removed the heatsink, which was firmly hold in place with four screws and springs. There’s also a thermal pad with some thermal paste under the heatsink to cover the processor. A 32GB Samsung KLMBG4GEND-B031 eMMC 5.0 flash with 250 MB/s read speed, 100 MB/s write speed, and 6000/12000 R/W IOPS is used together with four SKhynix H5TC8G63CMR-PBA DDR3L @ 1600 MHz SDRAM (4GB in total) for storage and memory. Ampak AP6255 module delivers WiFi 802.11 b/g/n/ac and Bluetooth 4.2? LE wireless connectivity, while a Realtek RTL8711GS PCIe to GbE transceiver allows for Gigabit Ethernet, with the transformer likely inside the Ethernet RJ45 connector. Other ICs includes AXP288C PMIC, and two smaller chip marked “MINI5BZDE 539GB 2532B076 ZZ ARM” and “B203 A3 UBCUC D8P8J 1522”, but I could not figured out what they could be used for. One of them is likely the MCU taking care of the power circuitry. You’ll also notice the RTC battery, and two headers marked ICE1 and JDEBUG1 which could be useful in the unlikely case the mini PC is bricked. 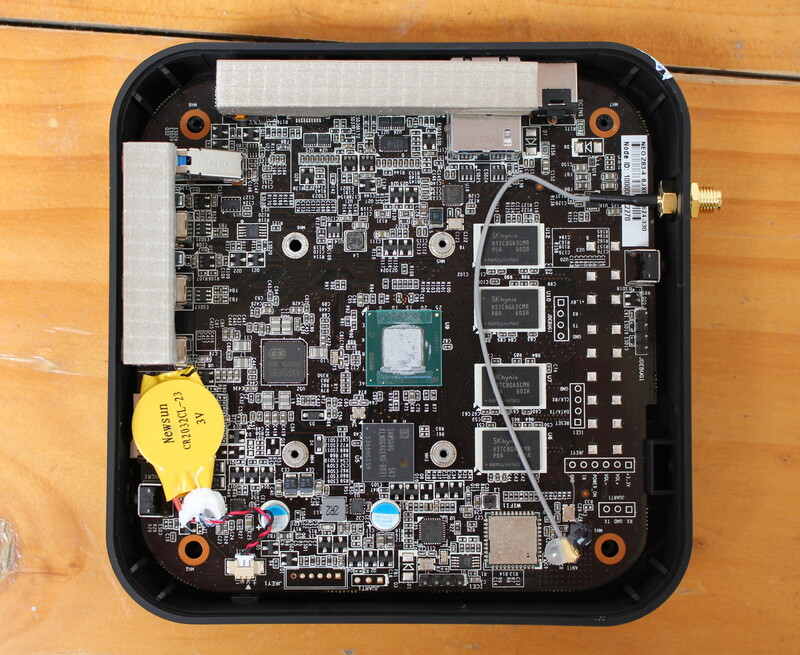 The bottom of the board features Realtek ALC5645 audio codec, and Winbond 25Q64FWSIG 64Mbit SPI flash. This looks all good, but what about price? 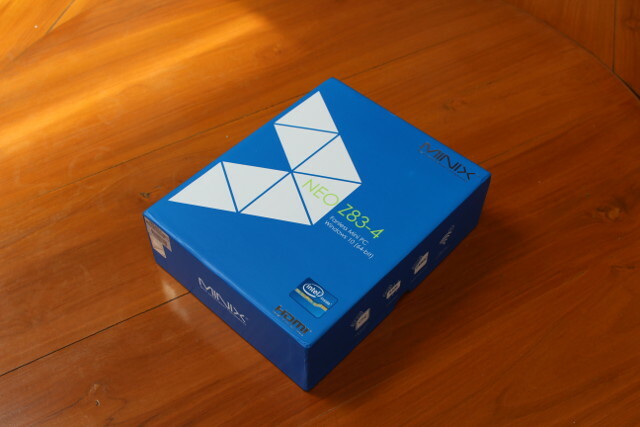 The previous model, MINIX NGC-1, did not become that popular despite a very good implementation due to its high price, partially because of the $85 Windows 10. 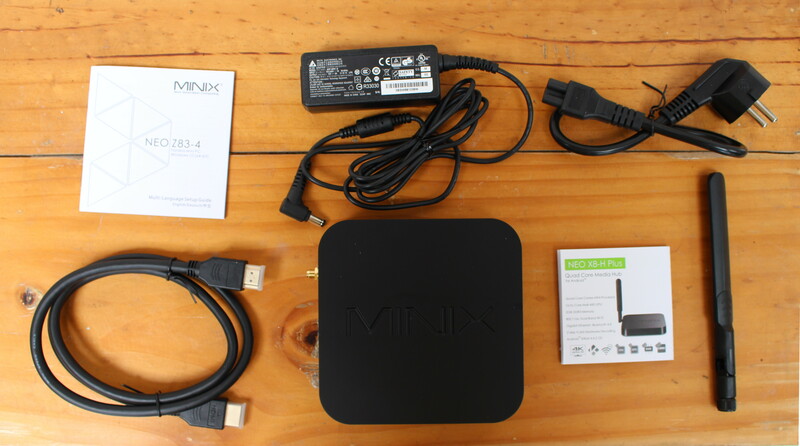 MINIX NEO Z83-4 mini PC is priced rather competitively, as it will sell for $169.90 US, 169.90 Euros, or 144.90 GBP depending on the country starting on September 16th. 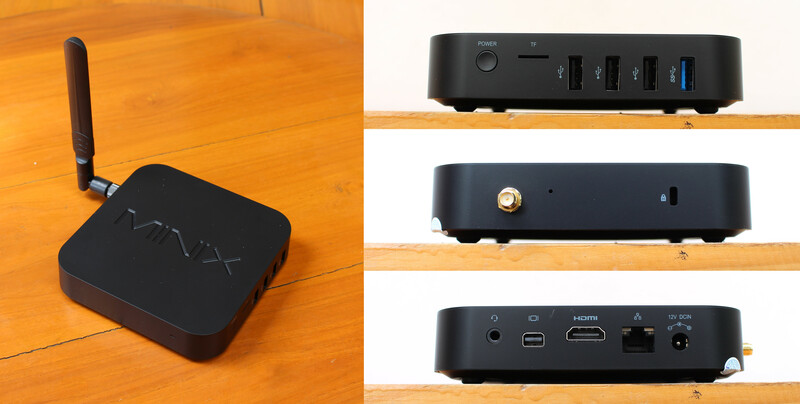 [Update: MINIX NEO Z83-4 mini PC Review Part 2 is up]. So you’d have to wait for Apollo Lake for HDMI 2.0 and 10-bit HEVC. I normally avoid playing with Ubuntu on devices where you have to pay a Microsoft Windows license… If they launch one with Ubuntu or without OS, then I’ll try. Cherry Trail is not very good for Linux anyway. Braswell mini PCs are better, and about the same price. thank you for information, i am looking forward for your review they are amazing as always! Do you know if it is compatible with Windows 7 ? I know it’s not compatible with Windows 7. Seriously over pricing hardware seems to be MINIXs trademark lately. This is a fail. Doubled RAM + faster eMMC + faster networking + much better cooling + their well-known support worth every penny for the extras I think. is there really a point to use that thermal pad ? Got to love Minix’s heatsinks, they are always generous on those. So, will this box have legit Windows license as per MS’s 2017 requirements? NEO Z83-4 has some extra features, and is sold for $170. It’s more expensive than other products on the market, but not outrageously so, like MINIX NGC-1 was. Yes, the license matches Microsoft hardware requirements. That would be about $65 without license, quite an aggressive price. Sorry, I make a mistake in my post. While the top of the case is made of plastic, the bottom is made of aluminum. I know this device have the WAKE ON LAN in Bios. There is another mini pc that have the same function? I have problems to connect my wired network with a speed of 1Gbit/s. No matter if I configure the Ethernet card on auto or hard 1Gbit/s. I get only 100Mbit. I’m not able to ping the box but funny part is that I have no problems from the box to get into the internet and the Ethernet card on the box give me the status that the device is working properly on 100Mbit. It will be a challenge to get Windows 7 to boot due to the nature of the UEFI on these devices. This is by design. It’s the reason the manufacturer will say nothing about any OS other than Windows 10, and also the reason it is limited to 4GB RAM and 32GB storage. This is also the reason the device is priced under $200 retail — there is a very small cost associated with the Windows 10 license for “low end” devices, and 4GB/32GB is part of the definition of “low end” in the Microsoft license. It’s also a matter of compliance that the distributor doesn’t acknowledge or enable any other install or upgrade. There’s an Alternate OS forum on http://www.minixforum.com/. There are a few Linux distros that reportedly work well with a Z83-4. There is as yet no report of a successful Windows 7 install, no source for device drivers for Windows 7, and no hardware hacker so far who has been motivated enough to upgrade the RAM or storage on one of these.